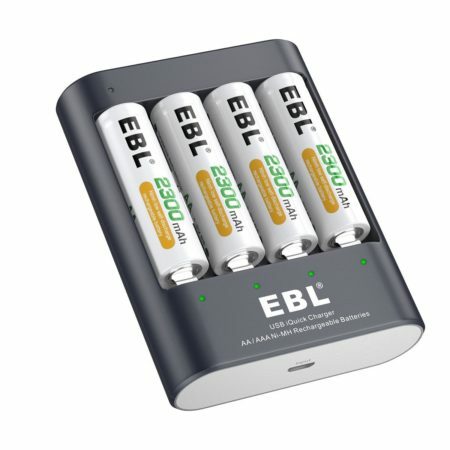 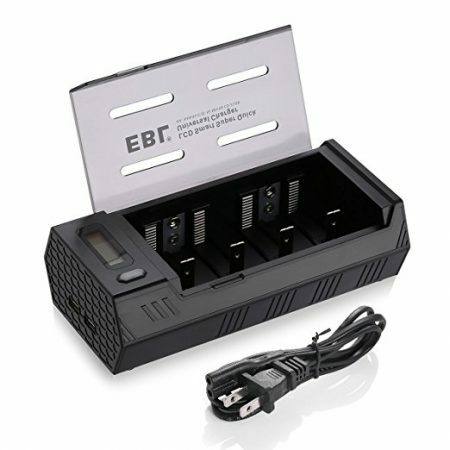 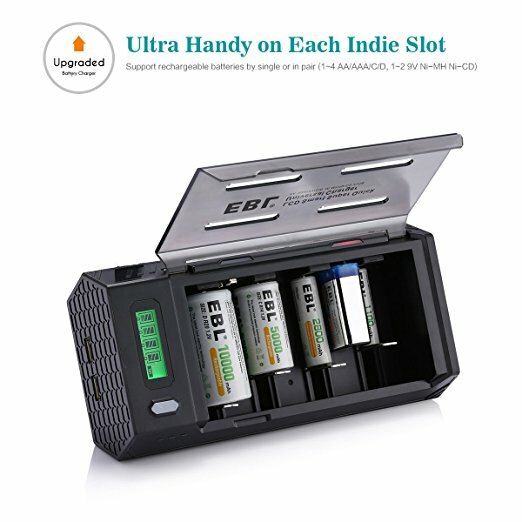 Upgraded EBL-908 battery charger, unique 2 USB Design for 5V USB enable devices like power bank smartphones and tablets iPhone iPad Samsung Galaxy HTC Google etc. 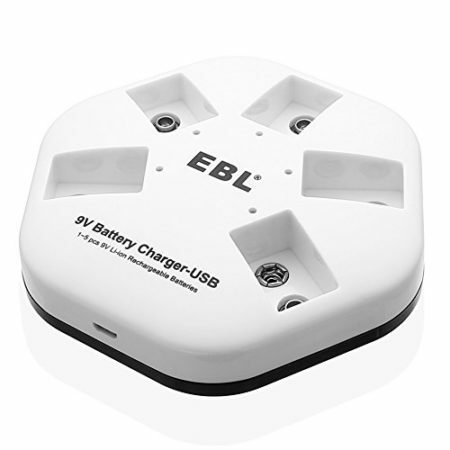 * Controlled by MCU, and using -¡÷V pulse charging, automatically stop charging when charged full. 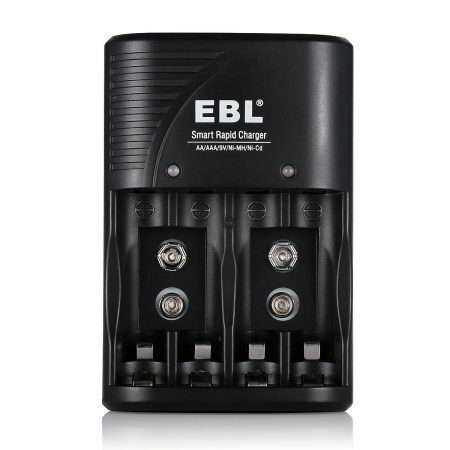 * Short circuit protection and reverse polarity protection. 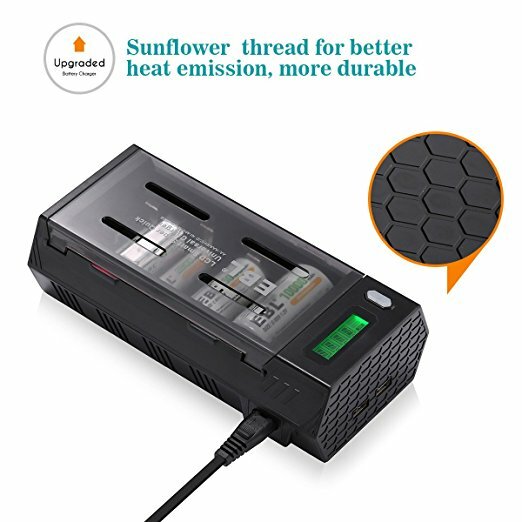 * Providing constant current and voltage, overheat-detection to prevent over-charging. 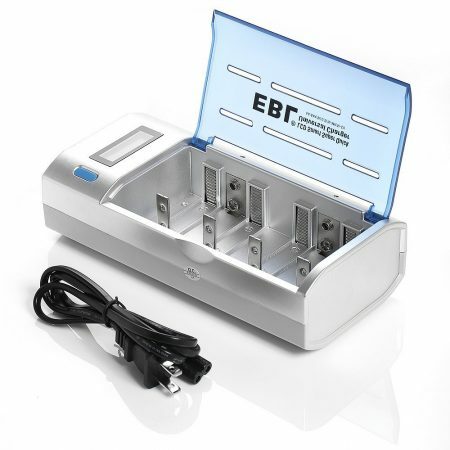 EBL 908 battery charger is fully compatible with 1-4 pieces AA/AAA/C/D Ni-MH/Ni-CD rechargeable batteries and 1 or 2 9V Ni-MH/Ni-CD rechargeable battery. 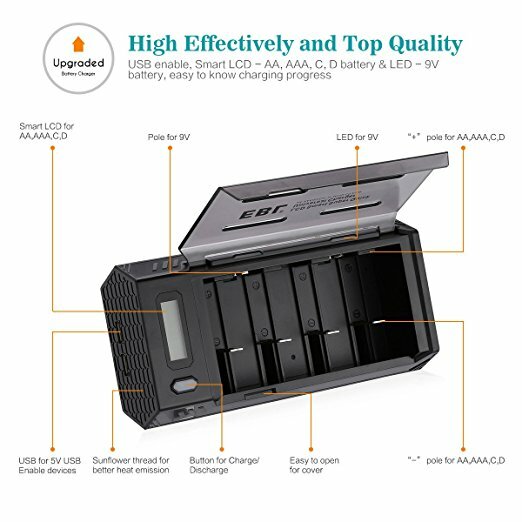 2 USB for 5V USB enable devices like power bank, smartphones and tablets iPhone iPad Samsung Galaxy HTC Google Blackberry and so on. 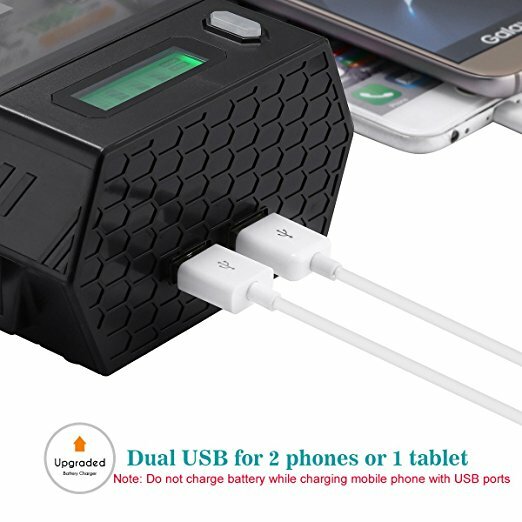 Note: Charge 2 phones simultaneously or charge one tablet. 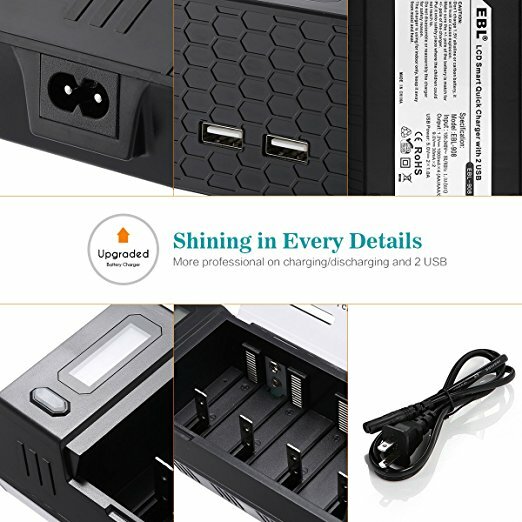 Do not charge batteries while charging mobile phones with USB ports.